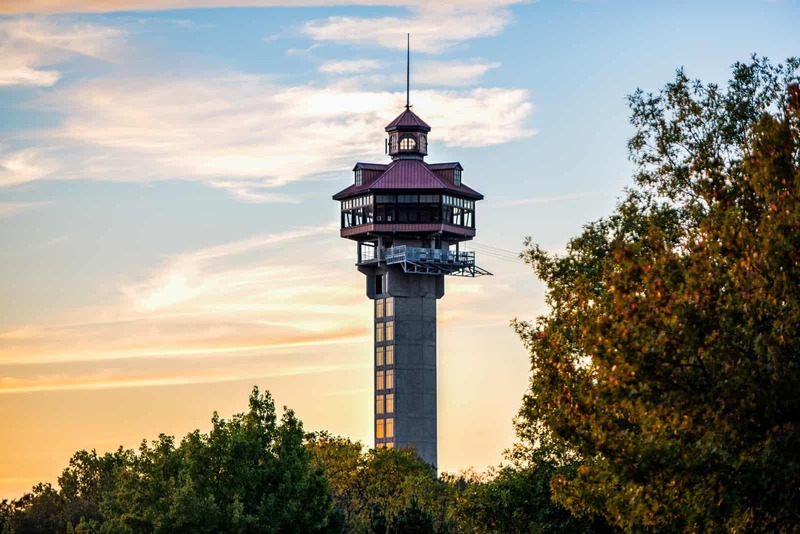 Inspiration Tower is Branson’s “landmark on the horizon” — a massive 230′ tall structure located on Inspiration Point, which is the highest point in Southwest Missouri. Take a glass elevator to the spacious, enclosed observation deck. 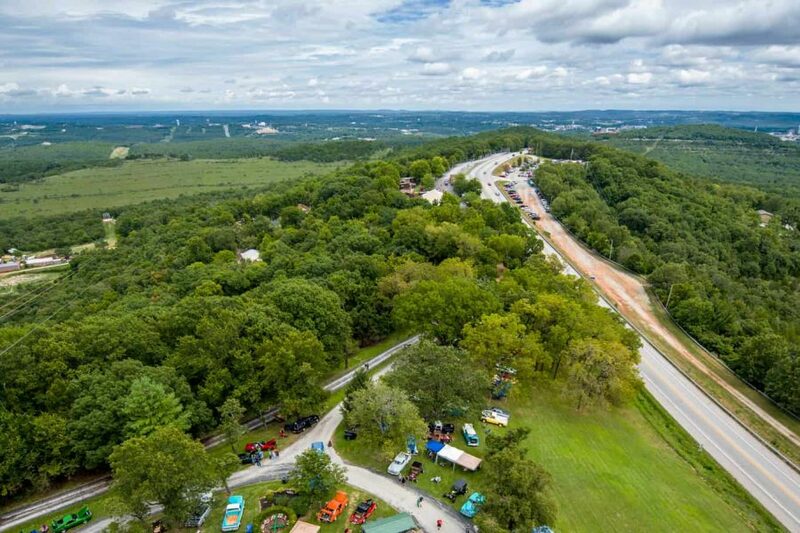 The panoramic views are absolutely phenomenal in any season. On a clear day, you can see over 90 miles. Visitors are welcome to stay as long as they like on their visit. Anytime during your tour, you are welcome to enjoy the gift shop on the ground level. 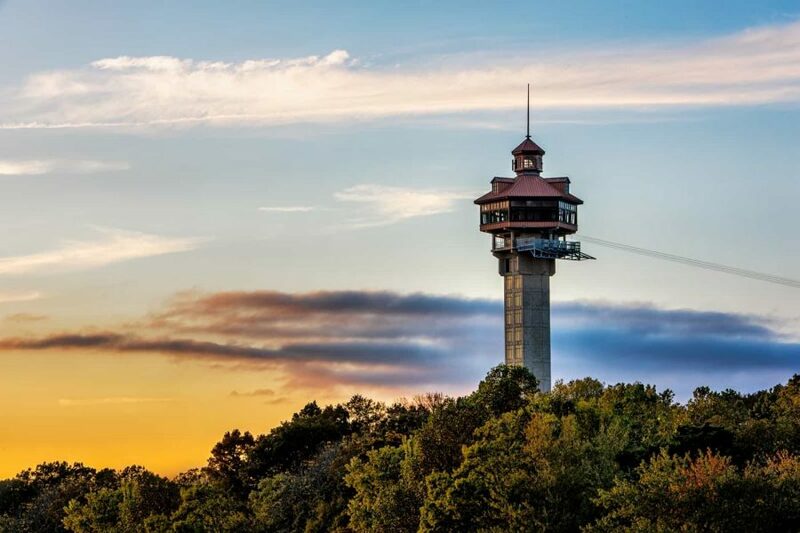 During November and December, Inspiration Tower is transformed into the Ozarks’ largest sparkling Christmas tree for the Trail of Lights. The Tower is open year-round. 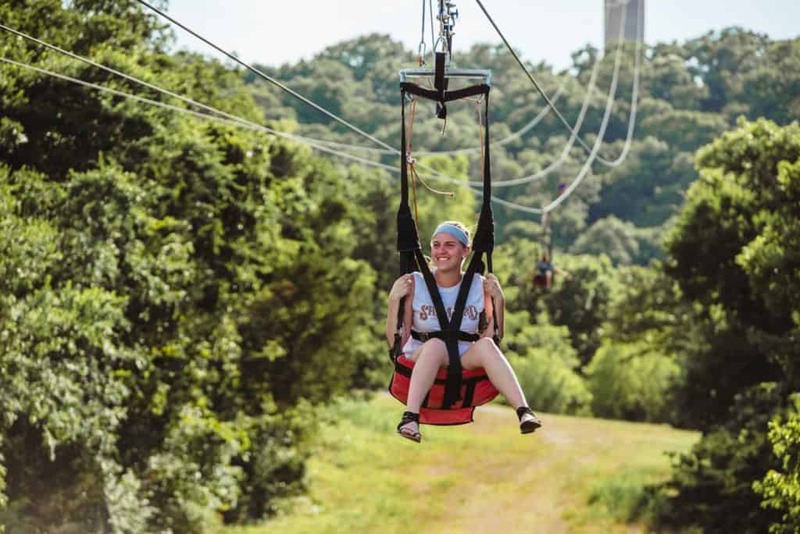 The Tower is also the launching point for the Vigilante Extreme ZipRider. Reservations are not necessary for this attraction. The Tower has a separate entrance and parking lot, just on down from the main entrance to The Shepherd of the Hills. During the summer months, the Tower is open until dark. Tickets for the Tower can be combined with tickets to the Historic Homestead Tour and the Outdoor Drama for a fun day of activities.